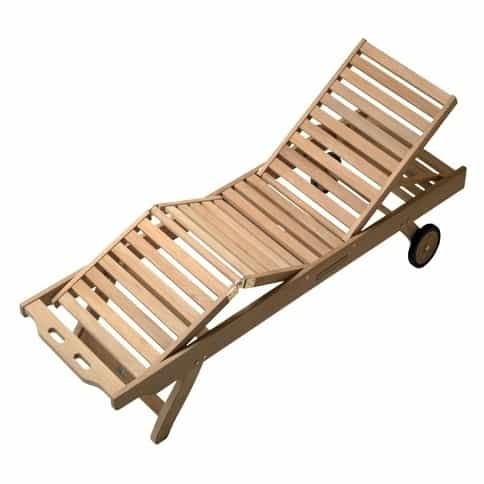 This unique seating piece uses teak wood to bring classic chaise seating to your patio or sun deck. 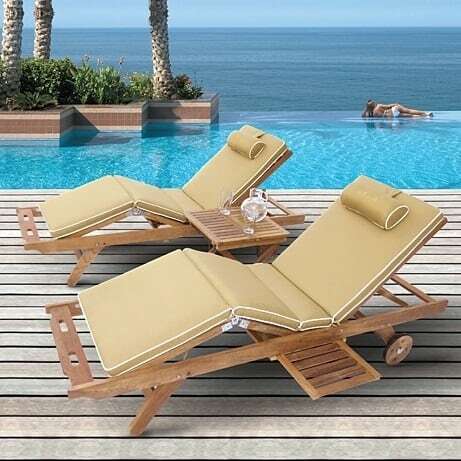 The cushions have a mildew resistant Dacron fill with a 100% solution dyed acrylic fabric casing. 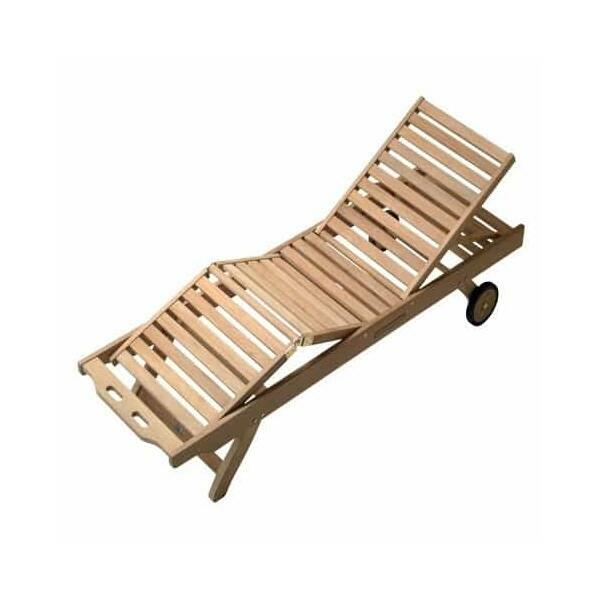 This Sun Bed takes chaise lounge furniture to a whole new level. The functionality of this model is unlike any other, with five postions for the backrest and four positions for the knee lift. 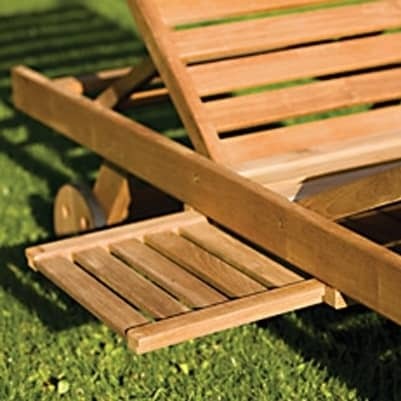 Royal Teak has included a built-in drink tray, perfect for your lemonade, iced tea or pina colada on those hot summer afternoons! 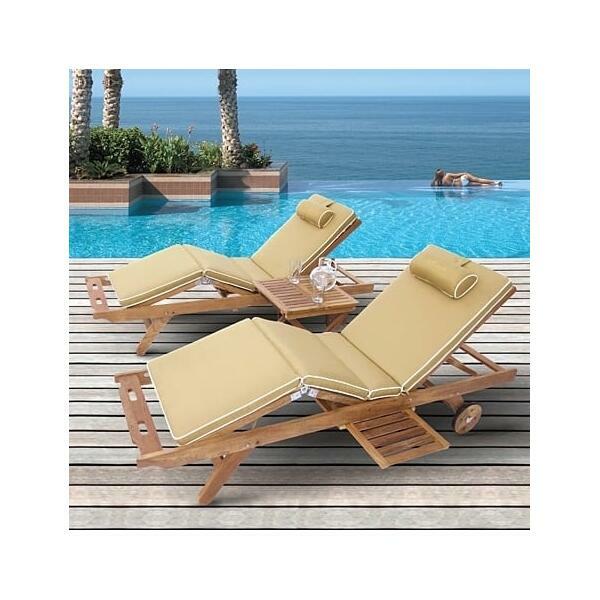 Set Upscale Collection Includes: 2 Chaises, Picnic Table, Cushions Shown. 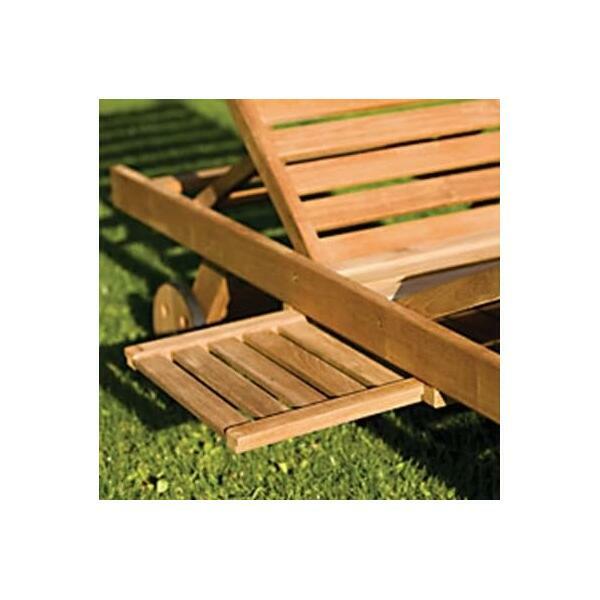 Height Up To 41" - Seat Height 19"
W 24.5" x D 79" - 50 Lbs.